I admit to being one of those moms who has made a separate meal for each family member at the dinner table, in a vain attempt to satisfy each of their specific desires and demands. 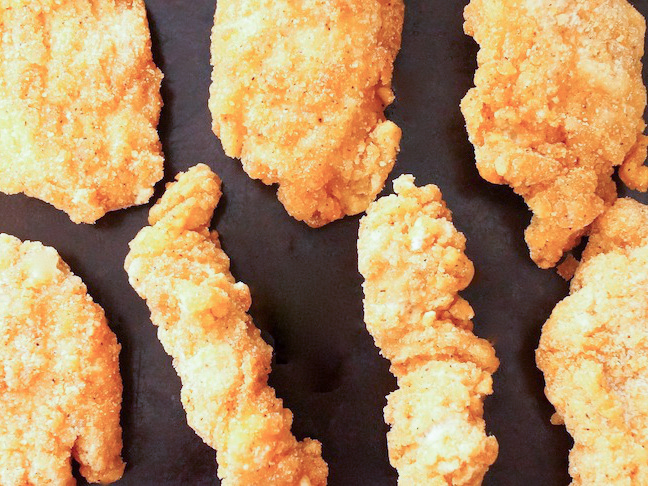 My whole family loves tender, juicy, and crispy chicken, and my kids especially love Tyson® Crispy Chicken Strips. Typically, when I serve them we also have a side salad that the boys leave untouched but that my husband and I eat. That’s not okay. So what do I do? I combine salad and the Tyson® Crispy Chicken Strips, and what we’re left with is clean plates all around. Success! 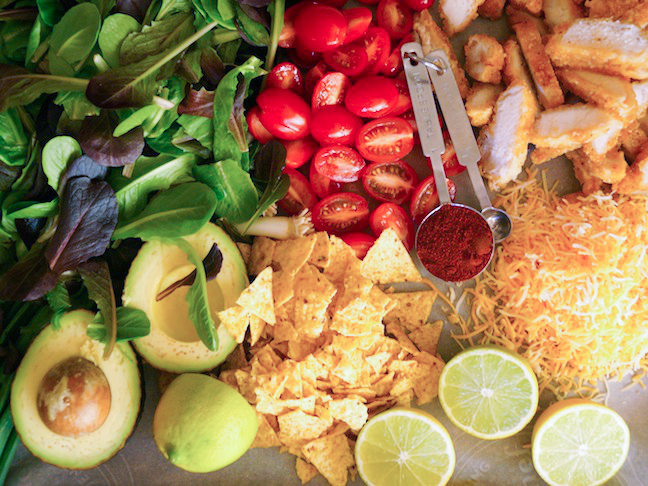 This crispy Southwest chicken salad salad is so delicious that you better double the recipe—everyone will want seconds and thirds! It’s super quick and easy to whip up on a busy weeknight, to boot! Get your kids to eat their greens and keep everyone happy with this crowd-pleaser. Step 1: Cook the Tyson® Crispy Chicken Strips according to the package instructions, let them cool to room temperature, and then slice them thinly. 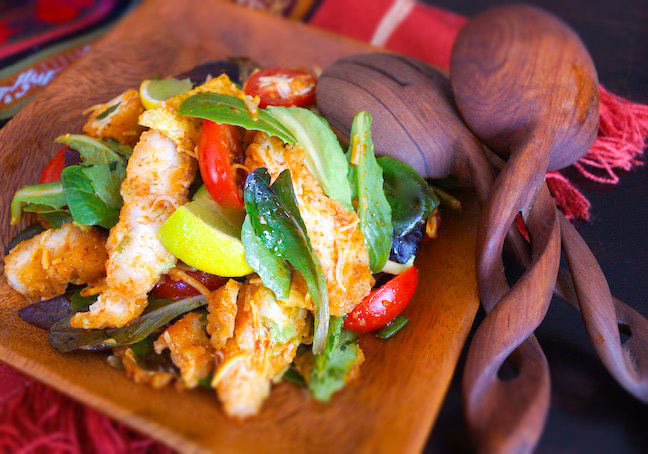 Step 2: In a large mixing or serving bowl, combine the sliced chicken strips with the lettuce, tomatoes, scallions, and avocado. Cover and set aside in the refrigerator. Step 3: In a small bowl, use a whisk to blend the lime juice, honey, chili powder, cumin, and salt. Pour in the oil gradually, whisking constantly as you do. Step 4: Just before serving, toss the salad with the chips, cheese, and dressing.